I grew up in the South of France near Nice and head back down that way at least once (or twice... or whenever I get the chance) a year. What I love most about this region of France is the diversity of all the towns and cities that are all a reasonable distance away from one another. In just a week you can visit a ton of different places - including day-trips to two (technically) other countries. This is going to be a little different from my usual posts as I'm going to go through some of my top recommendations of places to go and things to do... but don't worry I'll be throwing in food tips as well. Just a little warning, I love the South of France a little too much, it has such a special place in my heart, so apologies for how gushy and biased this might be. I also can't go on too long about each place or this will be the longest post ever, so you're going to have to take my word for it and check these towns and cities yourself. Nice is honestly on par with Edinburgh as my favourite city. This is where you're likely to fly into and a great base for exploring the Cote D'Azur as it has great public transport links. The Chateau hill is undoubtedly the best place to see the beautiful coastline view. A must visit is the old town and the Cours Saleya, markets are held here and there is a line of restaurants on both sides. I think I've eaten at them all at some point in time and they are all great choices for lunch or dinner. A lovely town in-land that is definitely worth a visit. This is the perfume capital of France and home to so many museums and factories, the tours of which make for a great daytime activity. This year there was a random Snapchat sponsored ferris wheel in Cannes, but hey it offered great views and was free! It's an obvious one and not personally one of my favourites but worth visiting once in your life. Wander through the streets feeling like a star, admiring the beautiful seafront. 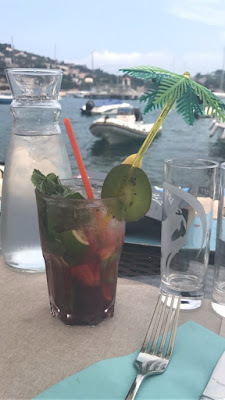 Keep in mind that Cannes is quite expensive for food and drink and unless you're purposely there for celeb-spotting I wouldn't visit in May it's far too busy (when the Film Festival is on). I love Antibes, it's a great place to visit. The marina is lovely to walk around (although they've now closed off the super yacht section so I can't window shop anymore... how rude) and there are some great little independent restaurants to eat at. Theoule-sur-Mer is a bit further along west but my top recommendation for a beach day. It is a beautiful sandy beach with rocky cliffs to jump off. It's not as big of a tourist destination so the beach is a bit quieter than some of the major cities. This is a great place to rent a villa, it's up in the mountains so feels quiet and remote but with great access to all the places you'll want to visit. Being up in the mountains there are great views down to the sea. There is a charming little old town called St-Paul-de-Vence worth a visit nearby. I personally love Vence because I visit one of my best friend's houses and she has this insane infinity pool. Another obvious one but it's a really interesting place to visit - it's the second smallest country by area in the world. I'd honestly avoid Monaco in May unless you're a die-hard Grand Prix fan as it's just insanely busy. Be prepared to spend a bit more money here and wear proper shoes if you want allowed in to the Casino! Both of these seafront towns on the way to Monaco from Nice are simply stunning. Set on the side of a mountain overlooking the sea, the views are honestly breath-taking. 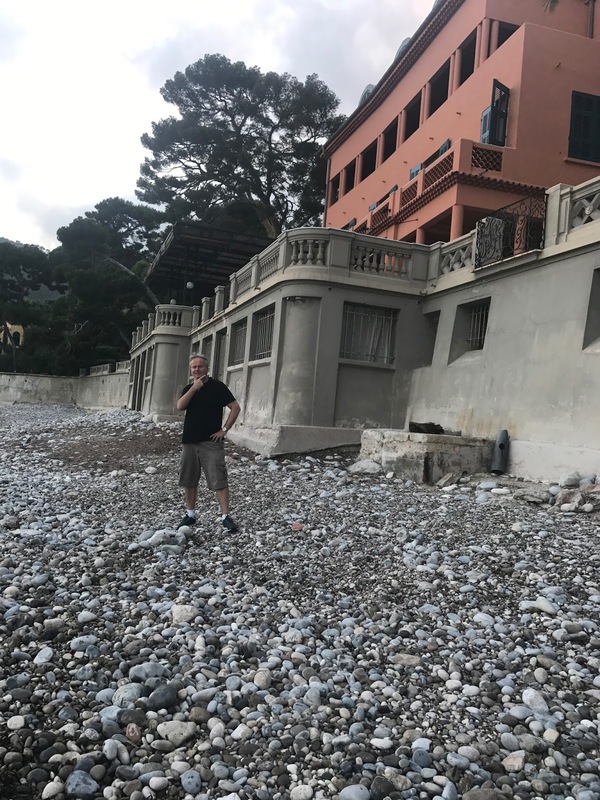 If you're a fan of U2 you can walk right up to Bono's house in Eze, and in Villefranche you can literally eat lunch right on the port inches from the boats. 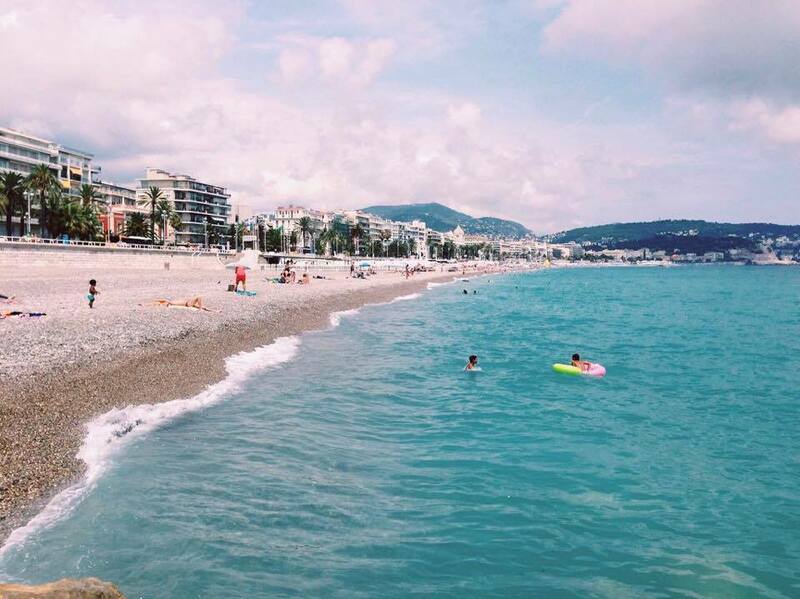 While you're in the Cote D'Azur you can actually hop on a train or drive over to Italy... If you're staying in Nice you're not far from the border. If you really wanted you could hit three countries in a day: France, Monaco, Italy. Whether it's as a takeaway or sitting down for a meal, pizzas in France are insanely good. Think Italian-style but with French ingredients. Make sure you look out for the words 'feu de bois' to make sure you're getting the most authentic type of pizza (cooked in a wood-fire oven... yes there are even little food vans with these ovens). Look out for 'blanche' pizzas... these are some of my favourites. Instead of the usual tomato sauce base these have a white sauce topped with cheese and a variety of great toppings and are super delicious. Other favourites? Quatre fromage (four cheese) DUH! Set on the coast you know you're going to get the freshest fish and seafood across the Cote D'Azur. Most restaurants on the beach or on the port usually have a lot of fish and seafood options on their menus. Of course the one you have to try is moules (aka mussels), these are so fresh down in the South of France. Moules, frites is the quintessential South of France food and come with a variety of sauces (personally I like them with a good white wine sauce). Visit a boulangerie at least once... if not every morning. Baguettes actually come in many shapes and sizes, but my favourites are those 'a l'ancienne' which are crunchier on the outside (but still soft inside) and usually end in a peak. 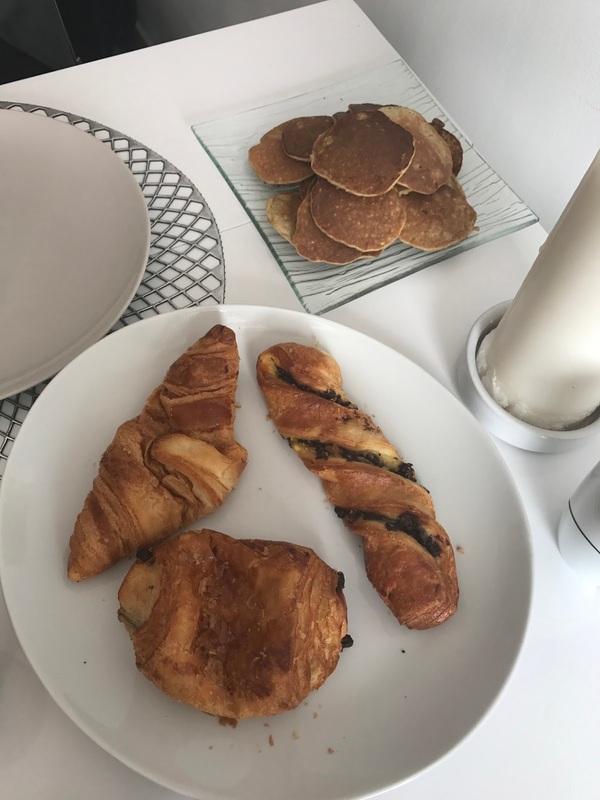 While at the boulangerie you have to grab some croissants and pain au chocolat. They are far superior in their home country, perfectly flaky and buttery. Don't cheat with the supermarket ones they are not as good as the fresh ones straight from the bakery. This is an obvious one but honestly necessary. Even if you're not staying in self-catering accommodation you need to find a way to spend at least one night just buying a whole bunch of cheese and a couple baguettes accompanying it with a good red wine. 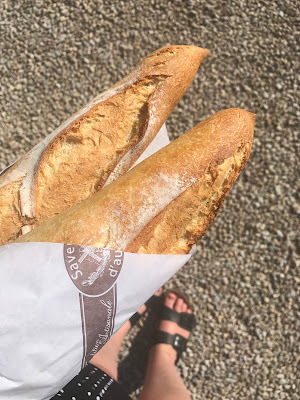 Despite being a bit of a cheese connoisseur I couldn't tell you the names of any of the cheeses I pick up on holiday other than the usual favourites (brie, camembert, etc). What we usually do is just pick blindly, you honestly can rarely go wrong. Even a simple goats cheese makes for a great dip with some sweet chilli sauce. I hate to admit but the saying 'the stinkier, the better' is definitely true, but warning you may stink out your fridge for days. In my opinion the French cook their meat to perfection but if you prefer your meat fully cooked then order it 'bien cuit' (but this is pretty blasphemous). If you want to experience meat at its finest order it 'a point'. Duck is one of my favourite meats and not enough people order it rare, it is honestly delicious that way. Duh... I don't think I need to explain that you need to get yourself a fresh crepe at least once... and smother that boy in Nutella. I'm also a massive fan of savoury crepes, also often known as galettes. These can come filled with ham, cheese, egg, veg or meat and are absolutely delicious. Great for an easy lunch option. 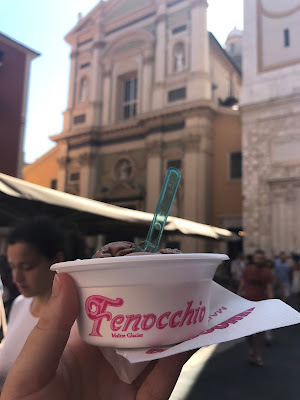 Being so close to the Italian border we get GREAT gelato here. And it comes in the best flavours. Whether you want to go all out or be a little healthier there's plenty of flavours from fruits to Nutella. That's right Nutella gelato. My go-to order is one boule pistachio, one boule Nutella - always a winner. You find so many flavours inspired by your favourite chocolates including Kinder and Ferrero Rocher. My favourite gelato place is Fenocchio's and has two branches in the old town of Nice - they have the most flavours I've ever seen. Top things to drink in France? WINE DUH LOTS OF IT! The wine in France makes me not drink wine when I get back to the UK. It's honestly that much better. And it's cheap. So cheap. Even boxed wine is delicious. One of my favourite reds I tried on my most recent trip was simply named Languedoc (2016) and was the smoothest red I've had in a while. In terms of rose I prefer the 'gris' (grey) type of rose, and always gravitate towards them. You can spend anywhere from a few euros to hundreds of euros on wine in France and it will be superior to the wine we get here regardless. So that's it, my completely and utterly unbiased guide to the South of France. If you're planning on jetting down to the South at any time and want to ask me any questions feel free to contact me on my social media or by email, I'm ALWAYS happy to talk about France.